Lulu the Bunny godmother is a mother figure to all the bunnies in the world. 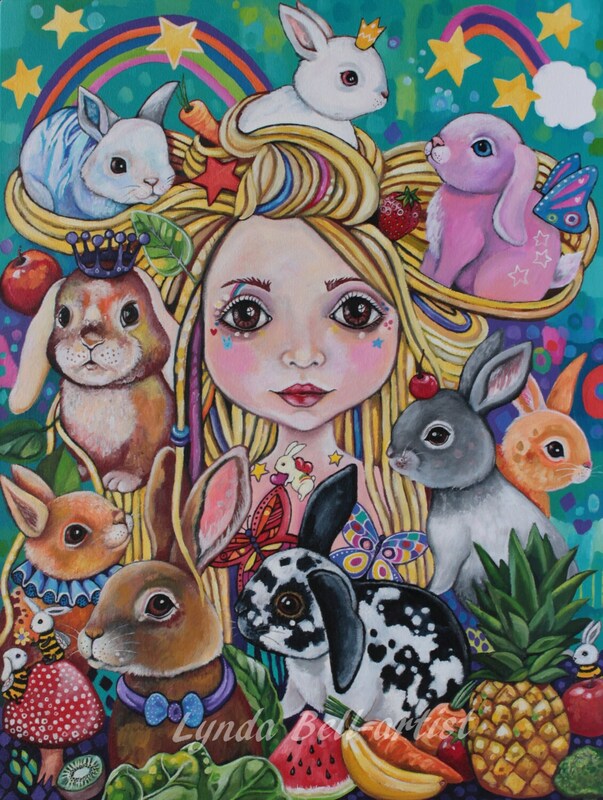 This art print is printed with high quality inks on beautiful fine art paper, and is a reproduction of the original painting by Lynda Bell, signed by the artist. Prints are posted flat, with backing board and bubble wrap. Check out my facebook page: Lynda Bell-artist for more about me and my art!